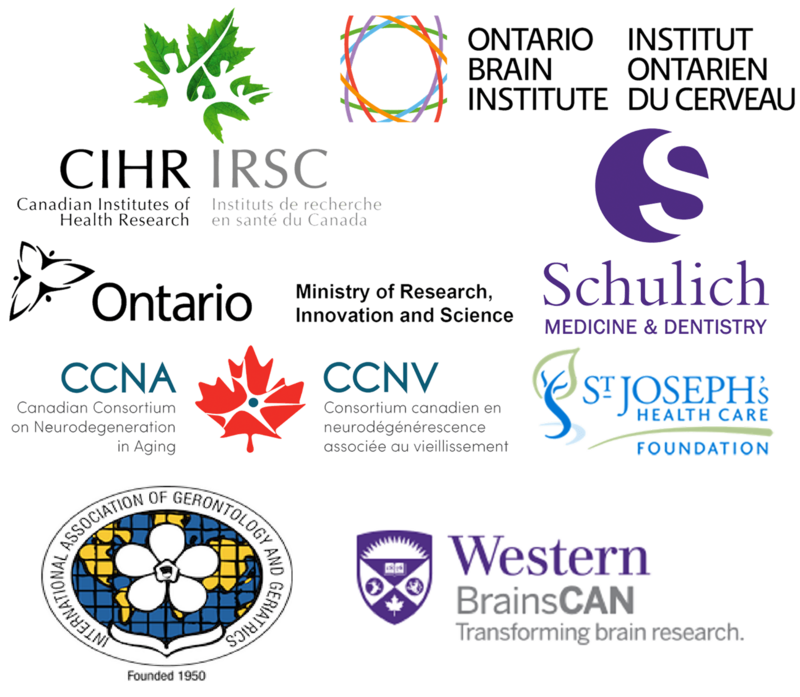 On May 10, 2018, Gait and Brain Lab trainees presented their research at London Health Research Day. 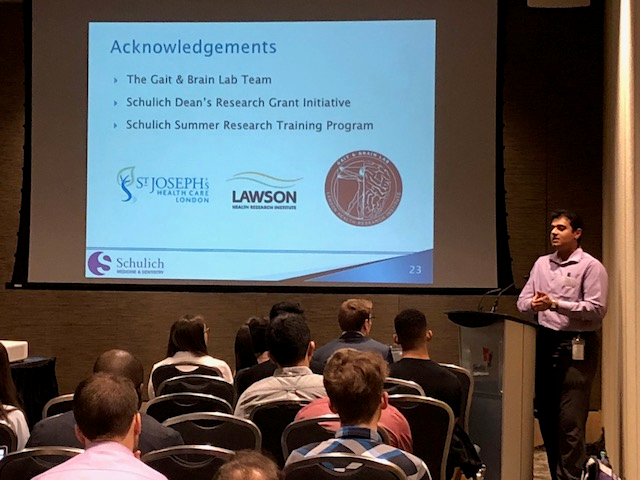 Dr. Frederico Faria (post-doctoral fellow) and Anish Naidu (medical student) were invited to give podium presentations. Nick Bray (PhD candidate) also gave a poster presentation. Great work everybody! 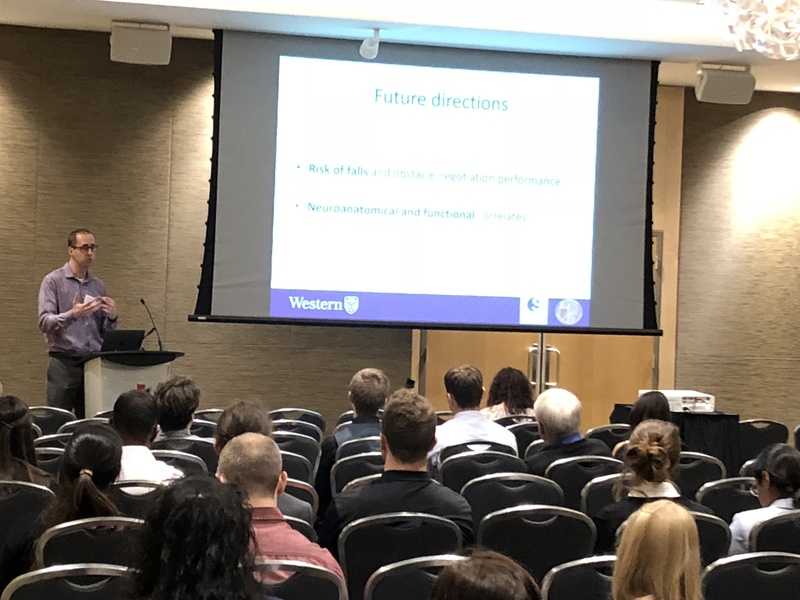 Anish Naidu (medical student) giving his presentation on rTMS to improve executive function and mobility in older adults. Dr. Frederico Faria (post-doctoral fellow) giving his presentation on obstacle negotiation and dual-task in older adults with MCI.